David Whiddon, Jr of Gonzales, LA Owner/ Operator of 1st Call Transport Service, LLC. When David is not working at 1st Call Transport, He loves tailgating, SEC sports (LSU), gardening, and dog lover. David has been in the mortuary service for 5 yrs and really loves working with the families and funeral service providers. David takes his job seriously, and he is a dedicated small business owner. David started the mortuary transport service in 2012 after having conversations with friends whom work in the funeral business. 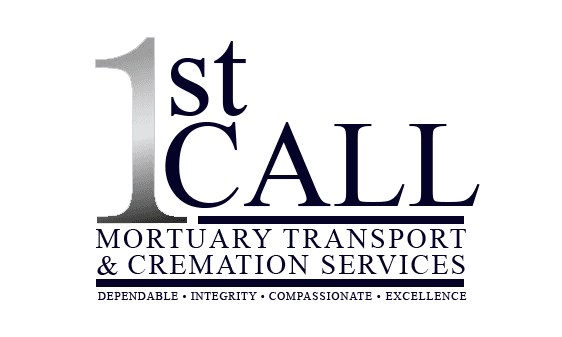 1st Call Transport’s goal is to provide families with the peace of mind and comfort knowing when we leave with their loved one, that they will be transported with dignity. Cassidy Mire is a Gonzales resident who recently graduated from Nicholls State University in Thibodaux. She has earned a Bachelor’s Degree in Psychology with a minor in Sociology. Cassidy is new to the Funeral Service Industry but is very excited to be a part of it. Through her schooling Cassidy has developed skills to assist families in their time of need. Cassidy’s goal is to help families during this difficult time in their lives and assure that all of their needs are met. In her free time Cassidy enjoys watching hockey and collecting antiques. Joel Zeringue, a native of Louisiana, Joel earned his SSH (Specialist in Safety and Health) from the University of Texas at Arlington. Joel worked in the industrial industry for 33 years. In 2012 he began working with 1st Call Transport Service. Joel says “Being a spouse, father, grandfather, I understand the importance of serving your family and I will extend the same purpose into my profession”. Joel enjoys assisting the families of the decedents as they were his own. He realizes that everyone’s wishes and needs are different and adapts easily to the family’s requests. Providing them with comfort and care at a challenging time in their life, is of most importance to him. International Travel, RVing, SEC Football (tailgating) and NFL Football top off his list of things to do when free time allows. Hollie Smith, is a native of Baton Rouge, LA currently residing in Denham Springs, LA with her 3 children. After a career in the Administrative Service Management field, Hollie’s lifelong interest in mortuary science sparked her to pursue her lifelong passion of working in the funeral service industry. Hollie is currently attending Commonwealth Institute of Funeral Service where she is a member of their honor society. She is set to Graduate in June of 2018 with an associate degree in Funeral Directing and Embalming. Hollie’s goal is to treat the families she serves as one of her own. Hollie says “I know with my ambition and drive; I will be able to give the families I serve the best experience on one of the worst days of their lives”. Away from work Hollie enjoys spending time with her 3 children, watching horror movies, reading and writing, interior decorating and traveling when time permits. Sylvia Hoyer, born in Breaux Bridge, LA now resides in Baton Rouge, LA with her 2 sons. She spent several years working in a Dental Lab and working with a local Pathology Group. Her interest to work in the funeral service industry grew after spending some time working in Pathology and after attending several funeral services for family and friends. Sylvia says “I want to try and make it a bit easier for the families that have lost a loved one by ensuing them that their loved ones will be well taken care of”. When away from work Sylvia enjoys cooking, quality time with family and friends, stepping out to enjoy a movie at the cinema, she also enjoys a friendly game of pool or cards with family or friends and really enjoys attending local car shows.